1. It's directed by Martin Scorsese. Just like a grandfather telling a story. Actually, I could already stop there. 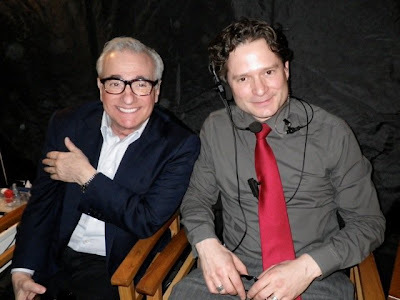 A Scorsese film is never crappy. Your least favorite Scorsese flick will still be good even by hipster standards. But I won't stop there, because I still have more to say. I can actually let Scorsese's non-use of effective realism pass, since this film has no pretensions of being bilingual anyway. If you remain consistent by using only one language all throughout, that's fine. The only reason it didn't work in War Horse was because the story supposedly involved characters speaking three different languages, but what the audience heard was simply English in three different accents. 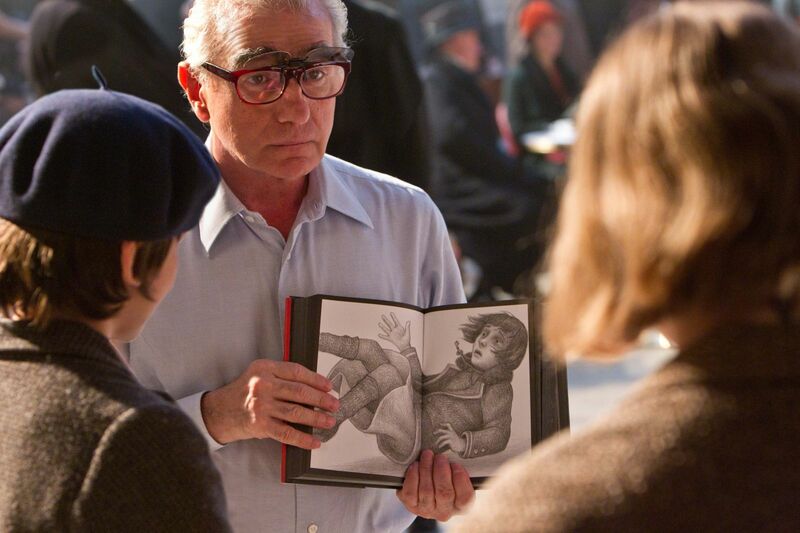 Just as 2011 marked Steven Spielberg's first venture into animated films, so too does 2011 mark Martin Scorsese's first venture into family-friendly films. (And incidentally, last year also marked both filmmakers's first try at 3D.) Just goes to prove that a great storyteller will do good in any genre. 2. It's the best 3D film ever. So far. 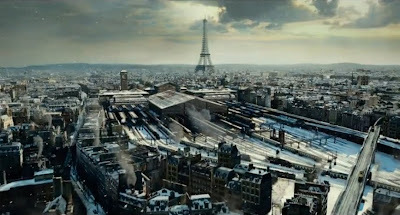 Shots such as these looked spectacular in 3D. While I was watching this, I kept saying (both to myself and out loud), "Damn, this is really great 3D." And it was. In fact, the 3D was so great that even James Cameron, the King of 3D, has been raving about it. And when I say "rave", I don't just mean "saying nice things about it". I actually mean "rave". Since I basically had the same reaction when I saw it, I'd like to think that James Cameron and I are on the same level. I can dream, can't I? 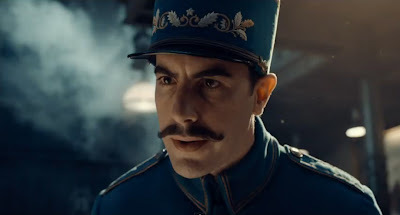 Anyway, the excellent 3D is the work of my new favorite stereographer, Demetri Portelli. Mr. Portelli has shown us that it is actually possible to break the rule of "matching the intensity of the 3D with the intensity of the narrative". You can actually have intense 3D all throughout the film. And of course we have to thank Scorsese himself. A great stereographer is nothing without a director who understands 3D stereography. I'm talking to you, George Lucas. So officially, my favorite 3D films of all time are (in no particular order of preference): U2 3D, Avatar, and Hugo. 3. It's nominated for eleven Academy Awards. 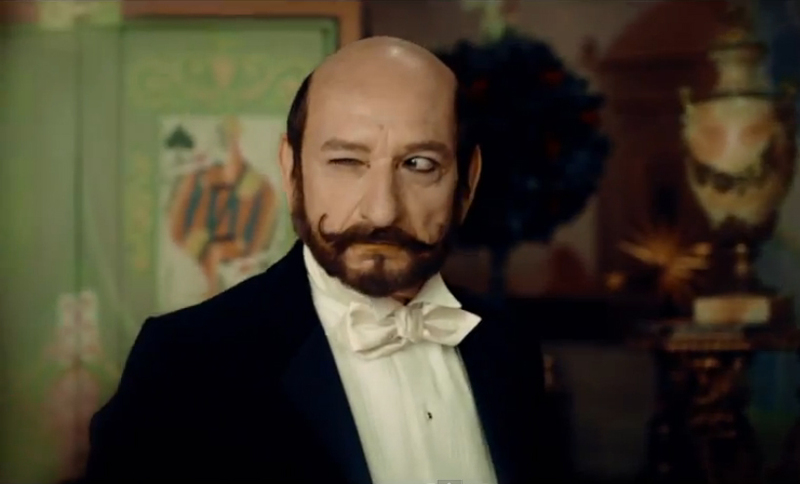 And it has Academy Award-winning actor Ben Kingsley. Those categories are: Writing (Adapted Screenplay), Visual Effects, Sound Mixing, Sound Editing, Music (Original Score), Film Editing, Directing, Costume Design, Art Direction, Cinematography, and Best Picture. That's the most this year for a single film. If there was a category for Best Stereography, Hugo would definitely win it. 4. It's a film about films. Pure cinema magic at its finest. And it's sure to appeal to filmmakers everywhere. If you've been to film school, you'll know who George Méliès is. If you don't, then at least you should be familiar with his film Le Voyage dans la lune. Still doesn't ring a bell? Then maybe you've seen The Smashing Pumpkins video for "Tonight, Tonight", which beat Bone Thugs-n-Harmony's video for "Tha Crossroads" back in 1996? 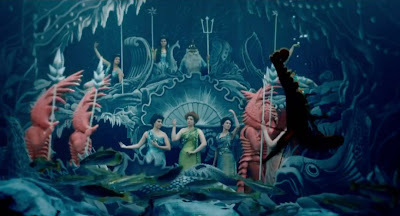 That video, ladies and gentlemen, is an homage to George Méliès, a pioneer in special effects and trick photography. And Hugo is also an homage to the French master. I'd like to think that this film will spark a cinematic interest in 8 out of 10 kids who watch this. 5. It stars Sacha Baron Cohen. Even a shot of his face looks damn good in 3D. Yes, this film also stars Academy Award-winner Ben Kingsley and Academy Award-nominee Jude Law, but I like Sacha Baron Cohen better. He provides the comic relief in this film, but it's not the obnoxious type of comedy Baron Cohen is famous for. Sacha Baron Cohen is actually a team player, contrary to the public's perception of him as an attention-hogging, eccentric comedian. 6. It stars Chloë Grace Moretz. Okay, this one I don't need to explain anymore. Just look at her. Okay, we're done here. Too bad, really, that this film wasn't released in the Philippines last year. Otherwise, this would have made the Number 1 spot in the annual Top 12 list. Rating: Nine point one out of ten. 3D: Nine and a half out of ten. Movie theaters that show 3D should all use active shutter 3D glasses. It makes less of a dizzying experience, and more comfy, too. I am certain that Rockwell Cinema's 3D glasses were of the active shutter variety, but I am not quite certain that the active shutter feature was on. Kasi wala ako nafi-feel na nagva-vibrate or may mechanical sounds coming from the glasses itself. Pero what do I know, I've never tried active shutter glasses before. Baka sobrang silent at subtle lang talaga gumalaw n'ung makina sa loob at hindi talaga siya mafi-feel. Hehe. Naramdaman ko sya in the sense na, when I put my finger on the sensor (to put the glasses in place), the picture blurs. Pero walang vibration/sound of any kind, which is good, I think. Bakit 'di mo sinabi sa akin? Haha. Now I have to wait before I can watch again at Rockwell. Haha. Tama ka sa mga hirit mo... about pedophilia (Hindi na sya bata! O bata syang matanda?! Ah basta puedeng puede na sya! HAHA! ), Cohen, film about films, Ben Kingsley... at di ko pa sya tapos. Gusto ko syang mapanood in 3D..
Pwedeng-pwede na talaga siya! Hehe. 'Yung babae sa War Horse maganda rin. Hehe. Fantastic review, fantastic movie. Your review's almost 3D.